The new Berlin Hauptbahnhof opened on 28 May, few days before the beginning of the Soccer World Cup 2006. With this new station, the whole rail network has been reorganised allowing new connections and huge time savings. 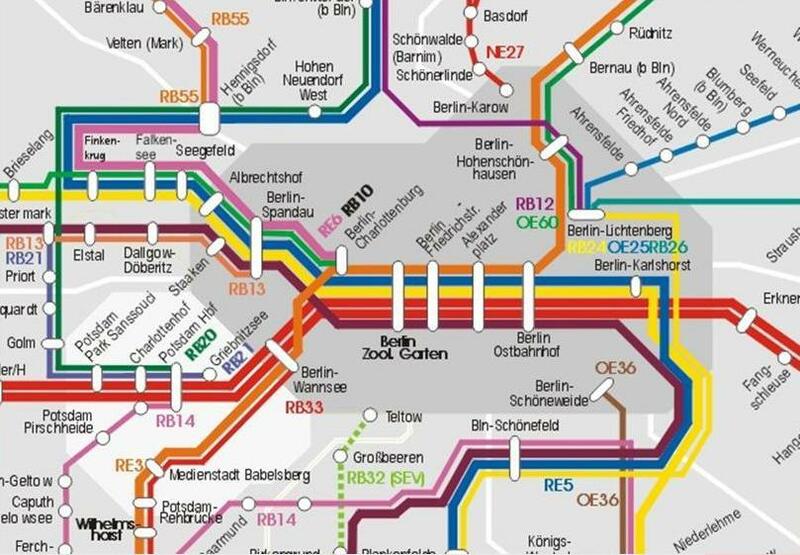 In the past, the structure of the network was based on an east-west corridor and a 120-kilometre long circle around the metropolitan area. Trains coming from the North or the South had to take the ring to reach the east-west axis and then enter the city. A new 42-kilometre North-South link, including a 3.5 kilometre tunnel, allows more direct routes to the central station (see maps below). The crossing point of the two axis is the former Berlin Lehrter Station, closed in 1951 for long-distance rail services. It is now replaced by a brand new central station. The station will welcome daily 310 regional trains, 160 interurban trains and 800 suburban trains, which represents 300,000 passengers. The investments for the station amounts to €700 million, brought to more than €3 billion including the tunnel. The opening of the new station and the new infrastructure led to a big-bang in the timetable in terms of schedule and in terms of routes, which are more direct. 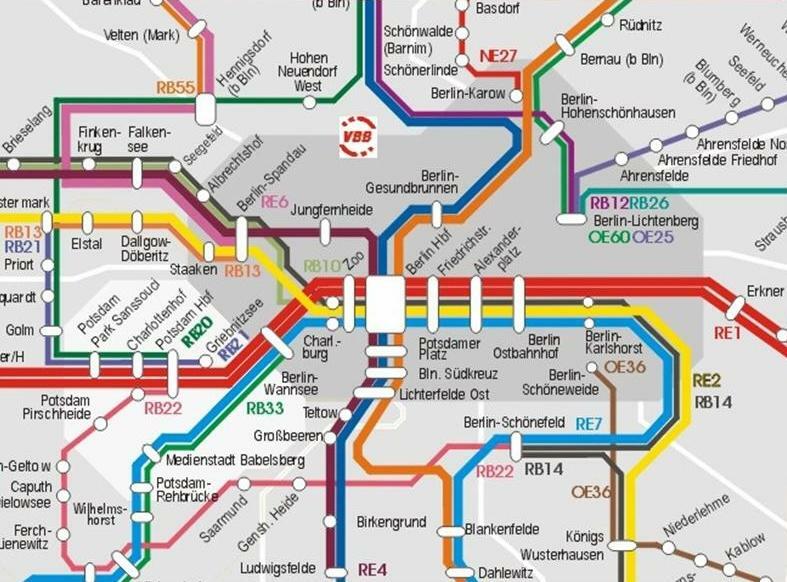 Even if some stations are no longer served by long distance services (Schönefeld Airport or Zoo), the new network allows time savings of about 35% for regional as for interurban services: the journey from Luckenwalde to Potsdamer Platz (regional rail) took 66 minutes before and 39 minutes currently. From Leipzig to Berlin (ICE), the length of the trip decreases from 1h50 to 1h13.